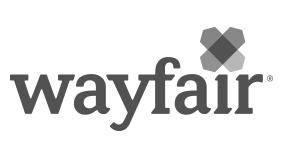 Wayfair is currently seeking a compensation manager to drive our incentive strategy and planning for our 7,000+ global employees. In this role, you will partner with leadership across the business to develop and deploy competitive strategies and objectives to reward and retain top talent. The role will be central to creating our compensation structure, including creating equity-based compensation models, and defining new roles as our business continues to grow and expand into new geographies. The ideal candidate must be self-motivated, organized, and able to work and communicate cross-functionally.